We have refined every detail in our home selling system, when know what works and what doesn’t. We have systemized our process which allows us to focus on target marketing your property to ensure we attract the right buyers for it! We will provide you with an example of what to expect in the process. When a buyer calls, they speak to a human! We have a long term approach to business – we are not looking for a quick sale, we are looking for a successful transaction which our clients are happy with our service and will refer us to their friends, colleagues, and family members. The long-term success of our business depends on these referrals – which only come from satisfied clients! 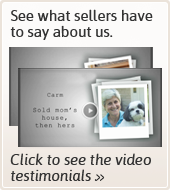 See what our clients are saying about us. If you would like a list of references; we would be happy to provide you with names and contact information of past clients. 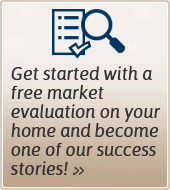 If you would like to get started today, please fill out our Free Market Evaluation Form, or contact us with any questions you have, and we’d love the opportunity to serve you.